Keith Willig Landscape Services, Inc. Since 1992 Keith Willig Landscape Architecture and Construction has designed and built residential landscapes for Bay Area clients from Hillsborough to Carmel. Principal Keith Willig believes, as his clients do, that the landscape surrounding a home should extend the available space in which a family lives, plays, and works. Willig creates landscapes that combine functionality, comfort, respect for the environment, and distinct visual appeal. Keith Willig’s firm is one of the few dedicated to residential projects, licensed in both landscape architecture and construction. Most clients select the firm for both design and build services. Keith Willig brings extensive design and construction expertise to each project. As a licensed landscape architect, Willig follows a proven professional process that includes research, design development, preliminary design, and construction drawings. As a licensed landscape contractor, he ensures the integrity of the design through personal selection of materials and site supervision of each project. Check out Keith Willig Landscape's feature article in last August's issue of Sunset Magazine, which can be found at the grey link icon above left. Greenblott Design is an integrative firm, combining Landscape Architecture, Architectural & Interior Design. The Palo Alto based office specializes in high-end comprehensive residential design. Mariposa Gardening & Design Cooperative, Inc.
Green Patio, Best of Houzz 2016 Award Winner, is a landscape design company owned and operated by Lynn Saunders. Specializing in creating beautiful, sustainable and functional gardens, Lynn will provide hands-on attention to your project, from preliminary design through construction. “Gardens for living” is how I describe my design style; we are lucky to live in a Mediterranean climate and can enjoy our garden all year long. I believe that a well designed garden will have strong architectural features combined with suitable plant material and will bring a “sense of place’ to the homeowners. Water conservation and sustainability have always been central to my gardens. I create gardens that are appropriate for our climate - a garden which is drought tolerant and can withstand our long dry summers without looking dry, hot and desert-like and still look lush and dense. Lynn Saunders holds an Associate Degree in Environmental Horticulture & Landscape Design, a Bachelor of Science in Business and Marketing and was a Critical Care Nurse and a Cardiology Research Coordinator. She is a past board member of the Association of Professional Landscape Designers and worked for Foothill College to design a booth at the San Francisco Garden Show. Always an enthusiastic home gardener, Lynn was asked frequently to help friends and family with their gardens. She was so passionate by the process that she left her career in medical research to study landscape design. Her enthusiasm and love of design are key to her success as a designer - she believes that the collaboration between an inspired homeowner and a professional designer ensures spectacular results! Landscape design and consultation services by an award winning designer with a Landscape Architecture degree focused on water-wise gardens, edible gardens, small spaces, family friendly spaces, and sustainable practices. Whether starting from scratch or working with what you already have, your garden can be an outdoor destination you enjoy. At CF Green Designs LLC we believe that the most important step in the design process is to listen carefully to the client. The final result reflects the client desires, lifestyle and aesthetic taste, but it is also in harmony with the site, functional and requires no more maintenance than the client wishes to commit to. We put the same care and enthusiasm in every project from the simple sprucing up of an existing space to the complete redesign of a back yard. If you would like to replace your water-thirsty lawn with draught-tolerant plants, be aware that you could also qualify for a cash rebate. We have experience with the Santa Clara Valley Water District Landscape Rebate Program process and can help you with the design and the submission of the project. Residential Building & Landscape Design. Landscape designer with specialty in architectural features and gardens: arbors, trellises, gazebos, outdoor dining rooms and kitchens. 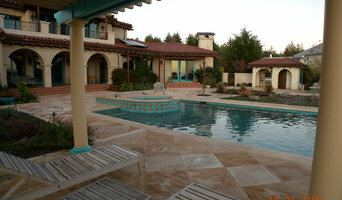 Established by Robert H. Waterman in 1982, Waterman & Sun is a residential building design firm in Portola Valley, CA. Whether, the residential design projects we design involves new construction, additions and remodeling of an existing home, and garden design, we take pride in our personalized approach to our client's ideas and our ability to bring their vision into focus. Many of our design projects are enhanced by our expertise of integrating indoor and outdoor living areas with a full range of garden and landscape design services. We emphasize the use of design features such as pools and spas, pool cabanas with outdoor kitchens and dining areas, enhanced with arbors and trellises in a wonderful garden setting. Sycamore Design is a boutique garden design firm specializing in high-end residential garden designs to enhance outdoor living on the San Francisco Peninsula. Since 2002, owner/designer Nancy Shanahan and her hand-selected contractors and artisans have created one of a kind outdoor sanctuaries for discerning clientele. For project inquiries, send an email to sycamoredesign49@gmail.com or give us a call at 650-851-1849. 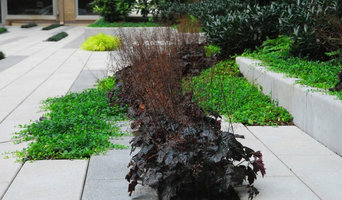 We specialize in residential landscape design providing a contemporary vision with an emphasis on low-water design. Our gardens are visually stunning and environmentally sustainable. Since 1999, owner/designer Bonnie Brock and her hand-selected contractors and artisans have created one of a kind outdoor gardens. Her thoughtful solutions from hardscape to softscape compliment the lifestyles and outdoor living experience for her clientele. What does a landscape architect or landscape designer in Palo Alto, CA do? Landscape architects in Palo Alto, CA, who typically belong to the Indian association of Landscape Architects (ISOLA), are trained to develop comprehensive structural plans that include plants, hardscaping, water use, drainage and more. They can also design any structure that will be added to the landscape, such as gazebos, retaining walls and other garden features. Typically, the expertise of a Palo Alto, CA landscape architect can apply to understanding your space and natural environment. They work closely with architects and other contractors to develop your landscape or garden in accordance with the other plans. 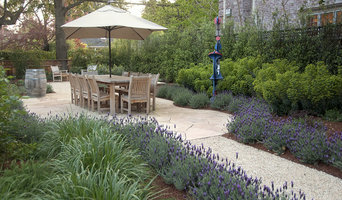 Landscape designers or garden designers in Palo Alto, CA specialise in aesthetics and horticulture. Keeping in mind both style and functionality, a landscape designer will analyze your architecture and garden to produce a plan that may or may not include location and materials for walkways, patios, water features, garden aspects and more. In addition, he will carefully assess your geographic region to choose plants, trees, and flowers that will flourish naturally, as well as address concerns such as drainage, screening and soil conditions. Certain landscape architects and designers in Palo Alto, CA only help with the planning portion, while some may deliver the plans and then oversee a hired landscape contractor. Others follow a design-build approach — take care of both the design and all aspects of the landscape architecture and construction. Why should I hire a landscape contractor in Palo Alto, CA? Don’t have a green thumb to main the lush and lovely grounds that will be the envy of all your neighbours. 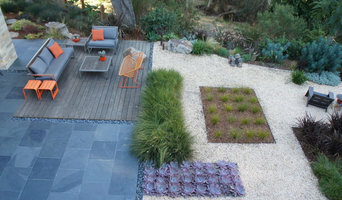 Hire a gardener or landscape contractor in Palo Alto, CA to create and maintain your garden. Landscape firms in Palo Alto, CA will be able to bring your outside space to life with flowers, plants, trees, shrubbery, lawns and all sorts of verdant, floral features. Landscaping companies in this category execute gardens that have been drawn up by a landscape designer or architect, while some can also provide design services of their own. Gardeners in Palo Alto, CA, on the other hand, will deal only with lawns, plants, trees and flowers. With a thorough understanding of horticulture and will be able to choose plants, garden edging and materials that will complement your home and thrive in the climate. A good Palo Alto, CA gardener will take care of weeds and pests, and perform other tasks such as pruning to keep your garden looking its best. Find landscape firms on Houzz. Narrow your search in the Find Pros section of the website to landscape contractors & architects. You may also look through photos of landscapes to find one you like, then contact the landscaping company in Palo Alto, CA who worked on it.